Have you ever wondered why the fragrance of your perfume or the incense sticks lightened by your mom during prayers spread all over to your home? It all happens due to diffusion. Diffusion is a fundamental factor in both natural and human-made processes. Being a universal physical phenomenon, we deal with it throughout our daily life. “Diffusion is the movement of particles from the area of higher concentration to lower concentration area, continuing until equilibrium is reached”. Let’s check some notable examples of diffusion that occurs in our daily life. When perfume (scents, incense sticks, room sprays, fragrance sprays) are sprayed at one part of the room, it spreads throughout the whole room due to diffusion. Perfume particles travel from higher concentrated area to the entire room where the concentration is less. Helium balloons deflate slowly and lose their lift. This happens because helium diffuses from the helium-rich area (balloon) to low helium area (outside environment). When we put tea bags into a cup of water, it automatically mixes in the whole cup of tea, and it happens due to diffusion. Tea bag contents diffuse from its higher concentration to lower concentration (water in the mug). After a few seconds of opening a soda bottle, soda goes flat. This is because the CO2 (Carbon dioxide) concentration is higher in the bottle than the outside environment and hence, CO2 diffuses from its higher concentration to its lower concentration. When we breathe the air, the inhale of oxygen and exhale of carbon dioxide is possible only because of the process of diffusion. Therefore, diffusion is a vital process in breathing. Apart from having many household uses of diffusion, it also brings some cons with it; air pollution being the most prominent cons caused by diffusion. When harmful gases, fumes, and toxic particles are released from various human-made sources including factories (like cement factory, chemical factories, brick kilns, etc), vehicles, and waste burning; then .they pollute the normal air with the process of diffusion. Our survival is very much dependent upon the process of diffusion; as in absence of diffusion our body cannot function properly; because it’s diffusion which facilitates the smooth transport of minerals and biomolecules in our body. Our body continuously needs to remove the toxic and waste products produced during metabolism and the most important organ to accomplish this activity are kidneys; however, Kidneys alone can’t do this task, here also the concept of diffusion come into play. Kidneys are made up of nephrons, which are the structural and functional units of kidneys. They are microscopic tubules which filter toxic substance from the blood. 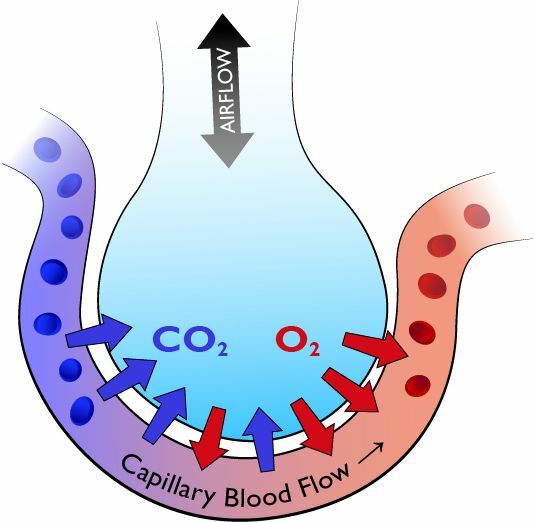 Nephron first separate waste chemicals and toxic from the blood and then reabsorb water and nutrients in the blood through diffusion. Hence, diffusion plays a significant role also in the filtration of the blood. The benefits of diffusion have been widely harnessed by the food industry, where coloring of edible foods is common in use. Heat conduction or transfer also occurs through diffusion. Heat is transferred from higher temperature to lower temperature.